Signed paperback and case-bound formats of this uniquely illustrated, 356-page memoir, 9 x 6 inches. Available on Amazon. Hardbound in starched linen with red foil stamping on spine, these books include a dust jacket, original art, and other extras. Limited to 29 copies only, each are signed and lettered by Carol Es. Poems and Short Stories, 1996-2005. 120 pages, 9 x 6 inches. Comes in trade paperback, Deluxe hardcover with original art, and E-book. 20 pages, 3.25 x 4.5 inches, Edition: 20. Hand bound in soft cover and signed by the artist, printed in archival inks with original art pages in a clamshell case. Includes animated movie on flash drive. A visual monograph, 70 B/W pages, 8.5 x 8.5 inches, Edition: 30. Hand bound and letterpressed (both sides). Includes one original color pencil drawing. Poems and Short Stories, 71 pages, 8.5 x 5.5 inches. Available in paperback, Kindle, and Smashwords. Chapbook essay, 28 B/W pages, 8.5 x 5.5 inches, Edition: 50. Hand bound - long-stitched, and letterpressed (both sides). Includes one original color pencil drawing. Full-color catalog and Artist's book, 36 pages, 8.5 x 8 inches. Edition: 50. 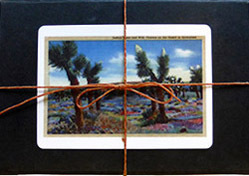 Includes small original watercolor, die-cut cover, curator's essays, various fine prints in box. Essays, 2003-2009. 181 Pages, 7 x 4.25 inches. Hilarious entries from mjp's old blog. Available in E-book only, these three chapbooks in one contain don't quit your day job (12 poems), porcupine quill pen (12 poems), and Oscar Night (a short story). Illustrations of inked book pages. 40 pages, 7 7/8 x 5 inches, Hand bound (hardcover and deluxe editions are sold out), numbered soft cover trade edition still available. Illustrated Artist's book, 24 pages, 5.5 x 8.5 inches. Edition: 50. Letterpress on Crane's Lettra cover with B/W interior, and typed words. Short Story. 16 Pages, 5.5 x 4.25 inches. Hand bound, Deluxe edition sold out, paperback still available. Hand-painted Story, each are originally painted in watercolor and ink. 32 pages, 7 x 11 7/8 inches. Edition: 20. Hand bound with slipcase, includes two etchings and drypoint.